Free Beauty Product Samples • Archives • Hey, It's Free! You know this this free L'Oreal Sublime Bronze self-tanning towelettes are fancy because of the -ettes. They don't tack on those extra letters just for nothing, folks. This free Garnier SkinActive sheetmask is great for many things. 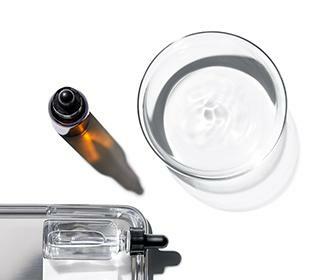 It will hydrate your face or refresh your skin with ease. However, it makes for a terrible sheet or mask. I wrote my entire senior thesis on one of these, only to receive an F for “illegible scribbling.” Having flunked out of college, my only career alternative was a life of crime. I didn't make it two steps out of the bank before the cops arrested me. I still don't understand how they saw through my disguise, but I've got 15-30 years to ponder that mystery. If you missed this Olay freebie in September or December, it's back for new Hiffers with a bonus freebie! Procter & Gamble are giving away free Olay Regenerist whips to those who sign up. They're also throwing in a free Deep Hydrating Eye Gel & Daily Facial Cleansing Cloths. Fancy. I've never associated “whips” with “regeneration.” Maybe that's because my only experiences with whips have involved Indiana Jones costumes or amateur lion taming. Sopost has a new signup form offering a free Dolce & Gabbana Light Blue fragrance sample. I can't wait to splash this on my neck and smell like … *checks notes* … light blue? What does a color smell like? You can request a sample of free Obagi skin cream for all your exfoliating needs. I think this is made with vitamin C, which means we get a freebie and stave off scurvy! Even better for me, this freebie says I'm infallible. Aside from absolving me on being late, do you know what this means? WE'RE ALL FRESHLY ANOINTED POPES! You get to be a Pope! I get to be a Pope! EVERYBODY GETS TO BE A POPE!